If you want to see breathtaking views, vibrant wildflowers, and misty waterfalls, you definitely want to go hiking in the Smoky Mountains. Since spring isn’t considered the on-season, you won’t run into a ton of people. 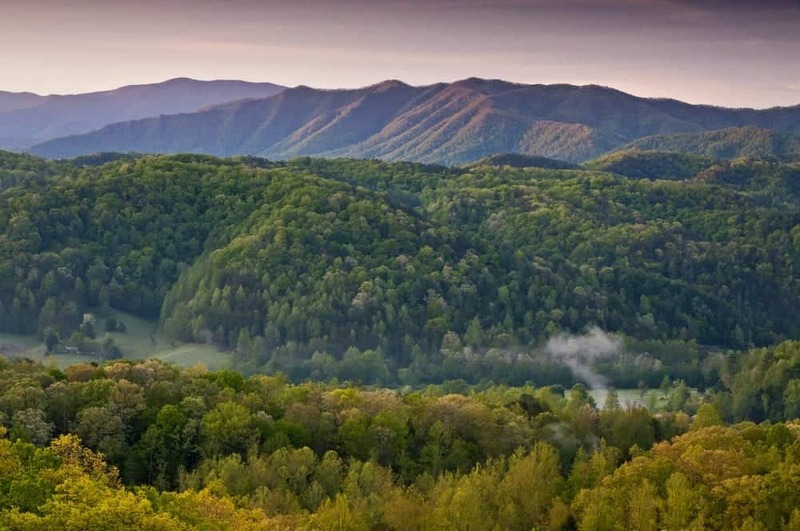 Check out the 5 best spring hiking trails in the Smoky Mountains! Despite the fact that a few scenic places are closed during the winter, you can still do some serious hiking in the Smoky Mountains at this time. Just because the weather isn’t warm doesn’t mean you can’t still enjoy being in nature. If the conditions are good enough for your liking, we’d like to show you a few things to prepare for that you normally wouldn’t have to do in the summer. Fall is here in the Great Smoky Mountains National Park. A great thing to do while in the Gatlinburg and Pigeon Forge areas during the season is to see the fall foliage. The best place to go for this is hiking in the Smoky Mountains. There are easy strolls and strenuous hikes throughout the park, so there’s sure to be a hike that is perfect for everyone. Hiking in the Smoky Mountains is the most popular attraction in the Gatlinburg area. The Great Smoky Mountains National Park is home to over 800 miles of beautiful trails to explore! If you’re looking to do some hiking during your next vacation in the Smokies, we suggest visiting some of the park’s gorgeous waterfalls. To help you make the most of your next getaway, Aunt Bug’s Cabin Rentals has put together a guide to five of the best waterfall hikes in the Smoky Mountains. It’s that time of year again, time to see the beautiful Smoky Mountains fall colors. If you have not yet had the chance to see the beauty of fall in the Smokies, we at Aunt Bug’s Cabin Rentals highly suggest that you and your family make this year the year, and include one of these scenic places on your itinerary for your next trip to the area this season. Summer is here to stay, and that means so is the warm weather. For vacationers looking to get away for a few days, but don’t want to spend every day in the southern heat, we have put together six of the best ways to cool off in the Smoky Mountains this summer. Rising above the breathtaking landscape of the Tennessee-North Carolina border, the Great Smoky Mountains offers more than 80 trails for hiking enthusiasts of all skill levels. Whether you are an avid hiker or just beginning, it is important to remember the right equipment.